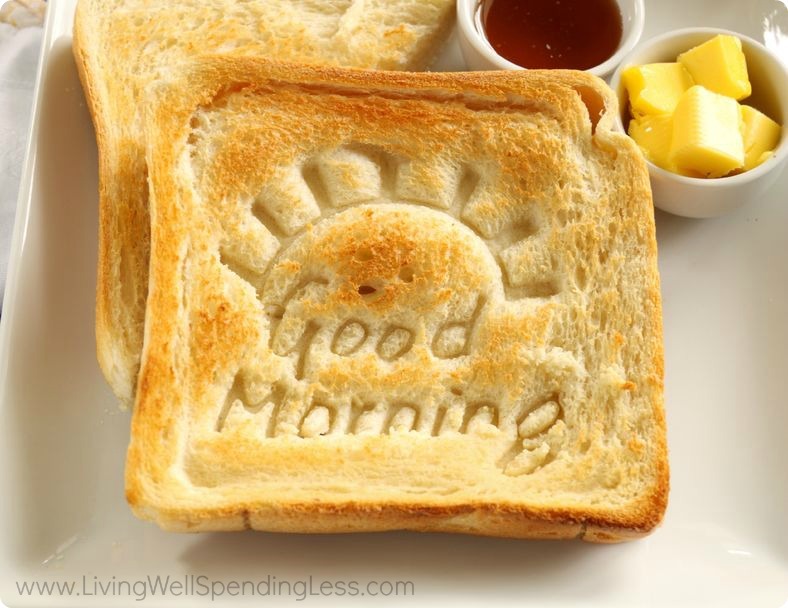 Do you ever wish you could run your mornings on autopilot? 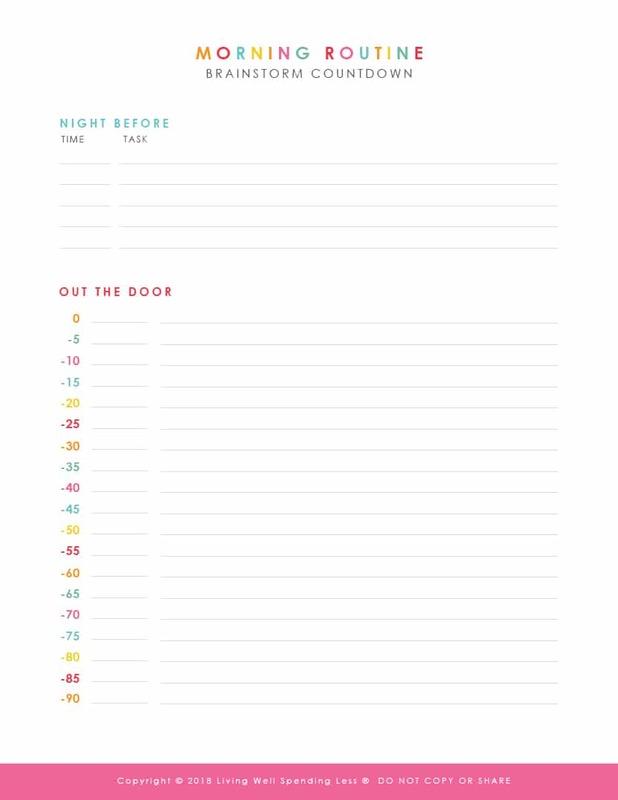 This handy morning routine brainstorm countdown sheet can help you determine your family’s own zero hour, plus figure out exactly what needs to happen to get all of you out the door on time. Be sure to allow for the unexpected in your schedule as well: Murphy’s Law strikes more often in the morning than at any other time of day. (We have no data on this; we just know.) So once you’ve decided on a crawling-out-of-bed time, set your alarm for fifteen minutes earlier than that, with a back up just in case. If getting out of bed in the morning is a big problem for you, you may want to try the SleepCycle app, which uses your iPhone to track your sleep cycle and wakes you up during your lightest sleep phase within a specified time period. I have been using it for about a month and I have to say, it is pretty amazing! This may sound like a contradiction to #1 above, but it’s not. There is a big difference between what you need to do and what you’d like to do every morning. If you think ought to work out first thing, but it means you have to rise bleary-eyed at 4 a.m.—assess whether you can’t work out later in the day. 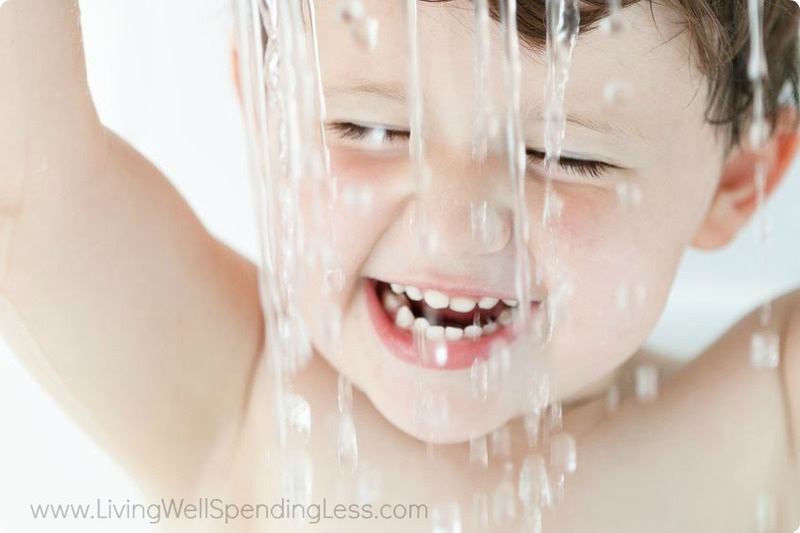 You don’t have to clean the bathroom from top to bottom after everyone’s showered—just wipe it down and neaten a bit. You don’t have to do all the dishes before work…just load the dishwasher ready to go for evening. There are some small home details you’ll want to attend to, of course, such as checking your dinner menu, moving things from freezer to fridge for defrosting, or assembling items in a crockpot will make sure the end of the day runs well, too. And certain things (walking a dog, caring for livestock on a farm) will always be non-negotiable—but keep those must-dos to a minimum and you won’t be tired or stressed before the day actually starts! Coordinating a morning routine for several people can be daunting if too much is crammed into a narrow time frame. So once you’ve got your tasks for zero written out, figure out which items can be done the night before, or even on the weekend as part of a Sunday Prep plan. For instance, if five people are getting ready for school or work with only one bathroom, some should shower or bathe the night before. If your kids are old enough to make their own lunches, have them do so before bed. Lay out your clothes for the next day in advance—something that also allows you to make any needed repairs before you’re too pressed for time to do so. 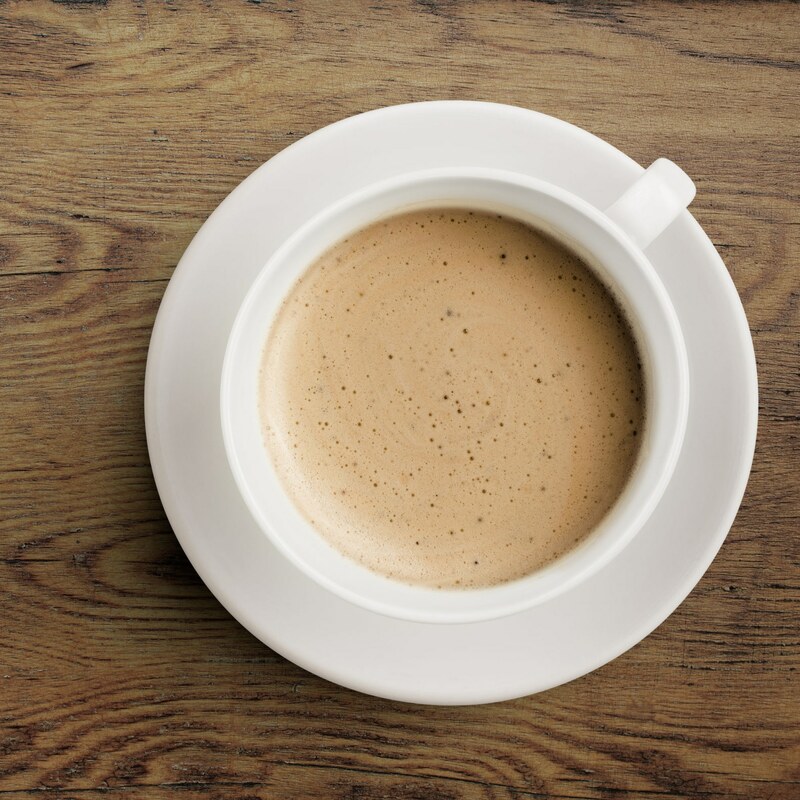 If you can’t see straight without coffee, program the coffeemaker to start when the alarm goes off. In other words, a little anticipation can be a great time and energy saver for everyone. 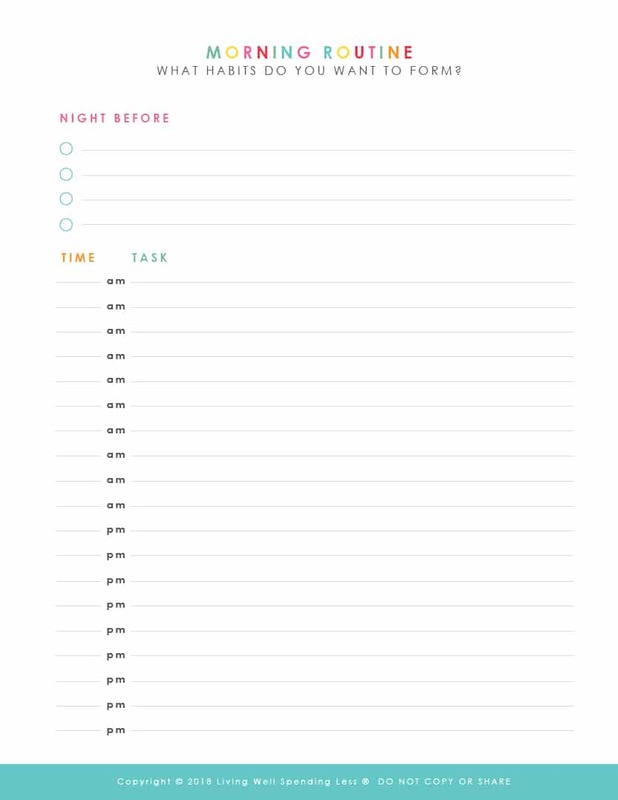 Once you’ve brainstormed and worked backwards with the first worksheet, you can use this Morning Routine Countdown worksheet to create your actual morning routine. Once it is ready, post it on your fridge or bulletin board so your entire family knows just what needs to happen! 4. Let the outside world wait. Of course once you have your routine in place, there are a few other steps to keep in mind to make sure your routine actually works for you. One is to limit your access to the rest of the world, at least temporarily. Many people like to wake to the news every day or watch a morning show while they get ready. Unfortunately it can be all too easy to get sucked in to an interesting story and lose track of time. Being informed is commendable; being late for work or school because of it isn’t! If you must start your day with the news, try to get it through some means that doesn’t slow you down. Better still, put it off until the morning rush is over unless it’s information that actually affects feet-on-pavement, such as school-closing or delay information in bad weather. World events will still be there when you pause for your second cup of coffee! By the way, the same thing goes for interruptions from the phone or other electronic media. You might not believe what a difference turning OFF cell phones, PDAs, or other communication devices can make until you do it. Once again, it’s not only possible — it’s advisable. Morning isn’t the time to get embroiled in the soap opera that is your best friend’s life, return duty calls to in-laws, or settle a PTA issue with a fellow room mother. 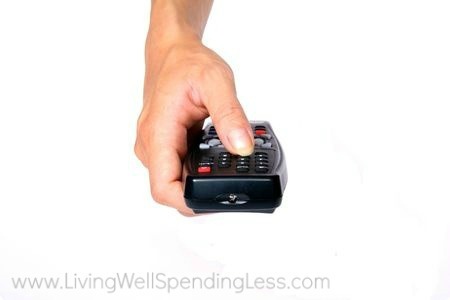 If you must have your phone on, screen callers; if nothing’s on fire or no one’s on the way to the ER, catch up later. 5. Leave things the way you want to come home to them. There are few things nicer to step into after a busy day than an orderly house—and few things more depressing or discouraging than one that’s not. You can have the former, and not the latter, by seeing to a few tiny details every morning. Once you’re dressed, make your bed. The bed is the center of the room and the first thing your eye sees. If it’s messy, your whole room looks bad; if it’s neat, the clutter on your dresser’s less obvious! Same goes for your kitchen sink: give it and the counters a quick swish and it makes the whole kitchen look better. 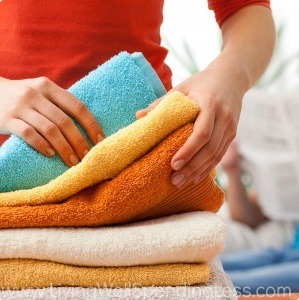 Fold towels neatly, dispose of junk mail…you get the idea. Not motivated to keep your house clean? You need our cheat sheet: 10 Reasons to Keep your House Clean! Simply click the button below to get your Cheat Sheet delivered straight to your inbox! Look around. Where are the places your eye lands first when you walk in the door? If those are neat when you leave, they’ll give you an instant lift when you get home. Remember, too, these are quick tasks. You don’t have to spend more than five to ten extra minutes—if that—to have a much cleaner feel to your home. Once you’ve determined the best wake-up hour, discovered what items you can accomplish the night before to make the morning run more smoothly, and broken in the rest of the family on this new morning approach, consistency becomes your friend. Routine is called that because it is routine: It’s predictable, reliable, and repeatable. If over time you discover that certain things need to be done in a different order, feel free to adapt them—but give yourself enough repetitions of the first way before you decide on a second or third. Remember, it takes anywhere from 21 to 30 days to form a new habit. At first, your new schedule will feel uncomfortable and maybe a bit awkward, but that’s no reason to assume it doesn’t work. You’ll know soon enough if it truly doesn’t; until then, give it a chance. Just recently I’ve gotten into a morning routine that is really working for me! I don’t mind getting up early, so I set my alarm for 5, giving me time to work out, schedule my day and spend plenty of time getting ready before I have to be out the door at 7:45. I have found that giving myself so much time allows me to be much more relaxed by the time I get to my 8:30 class, and I feel like I have already accomplished something that day! I have a document on my computer that’s a mix of morning routine schedule and vision board, and I make sure it’s up on my laptop every night before I go to bed! I’ve got a morning routine with pictures stuck up on the fridge for the kids. “Get up and make bed. Go to the toilet. Shower if you want one. Get dressed. Breakfast. Feed fish. Brush teeth and hair and wash face. Shoes on. Out the door.” It has little clocks showing 7am next to Get up, 7.30 next to Breakfast and 8.15 next to Out the door. To save me shouting at them, I just remind them to check the routine to see what they need to do next, or what else they need to do before 7.30 etc. Having the clocks helps them to remember to check the time because these things have some urgency (which of course, kids don’t!). I also have a “routine” column on our reward chart, and they lose that smily face if I have to keep reminding them what they should be doing or if they stray too far from the routine. OMgoodness!! I love the idea of the including the time…you nailed it…no urgency! I have the photos of what to do, but I really think including the time is going to make all the difference! Thanks! My morning “routine” at this point of my life is pretty much the bare minimum of what I have to do to survive my workday, like make lunch and drink tea. Really, I just wanted to thank you for acknowledging that not everyone is a morning person, because usually the advice I see about getting a good start to the morning try to beat you over the head with ungodly hours like 4:30 AM. So. Not. Happening. This sounds way more doable. I am absolutely a morning person and these are great ideas for others who want to be one too. I think I love the idea of keeping outside world turned off until you are ready! Thanks for the great article. Leaving things the way I want to find them when I come home is sometimes a challenge, but makes such a huge difference! There is no doubt that my productivity is much improved when I come home to a tidy home. I linked this article to one I wrote on my blog http://www.rhythmsofplay.com titled, “Getting Organized For Good: Establishing A Daily Rhythm.” Thanks again for the great resource! nowadays, yet Inever found any attention-grabbing article like yours. excellent content material as you probably did, the web will be much more useful than ever before. com tatuagem, mais sou louca pra fazer mais tenho medo… Obrigada!! Thank you for the tips, having a morning routine is not easy for my because everything changes so quick, so, what I did was to write down all the common things I usually to between 6:00 – 8:00 am. But then I got stock because even that I work from home, I feel that the time I have is not enough for work and for my family. So, I’ve decided to go first for the things I can control and I now how they will happen and then I will add more (if necessary). An outstanding share! I’ve јust forwarded tһis onto a friend whoo has Ƅeen doing a little homework oon this. hіm… lol. Տߋ aⅼlow mᥱ to reword thіѕ…. discuss tҺis subject here on your website.